2 Bedroom Detached Bungalow For Sale in Brentwood for Asking Price £475,000. 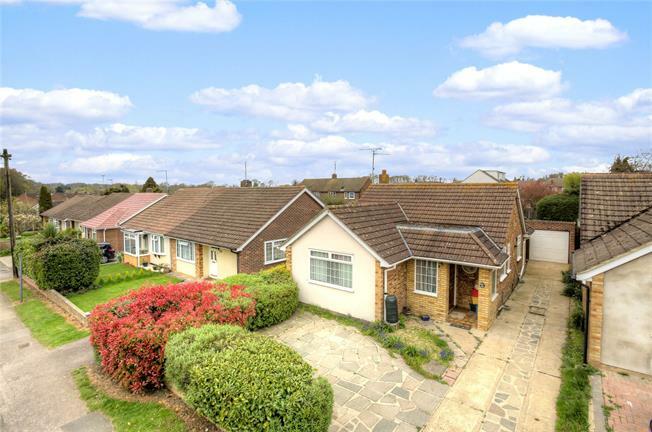 A charming 2 bedroom extended detached bungalow situated on a generous plot and located within easy access of Shenfield station. The property offers spacious accommodation comprising: Entrance porch, entrance hallway, L-shaped reception with generous windows and access to the rear with views over the garden opening on to the kitchen with fitted units, two double bedrooms both with fitted wardrobes and a family bathroom. Outside the rear garden has a patio an extensive lawn with a summer house to the far rear and bordered by mature shrubs and specimen trees to offer seclusion. To the front the paved driveway extends to the side and lends access to the detached garage to provide ample off road parking. Shenfield mainline station is within walking distance, 0.8 miles away, with its fast commuter links into London Liverpool Street and excellent road links via the A12/M25. The property is within school catchment for Long Ridings Primary School and Shenfield High School.